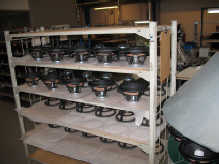 Scanspeak speaker quality is world famous, their attention to detail is renowned. Now it's possible to see how it's done. 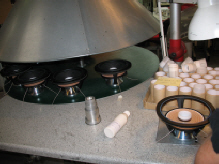 These 2010 photographs taken in the Scanspeak factory show Illuminator and Revelator drive units being hand assembled, from checking pole piece and magnet dimensions to production testing the finished speaker unit. 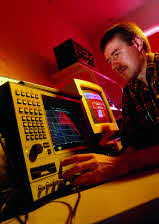 Place your mouse pointer over each picture for a description.